Halloween is almost here! By now you probably already know my love for simplistic recipes. I think creating something seasonal for any possible occasion might be one of my favourite activities. However I also don’t want my ideas to take hours to put into practice. 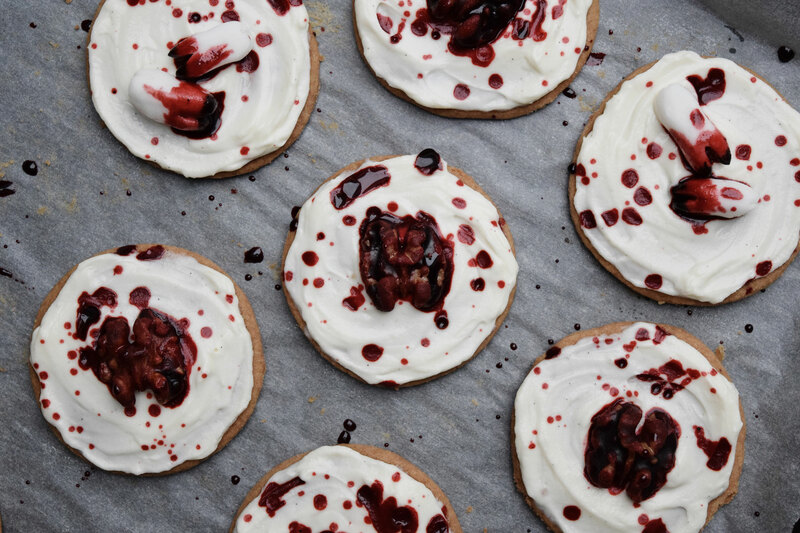 So instead of making a whole teeth cake, I decided to put miniatures on cream cheese cookies. This recipe is not only easy, it also consists of very basic ingredients. 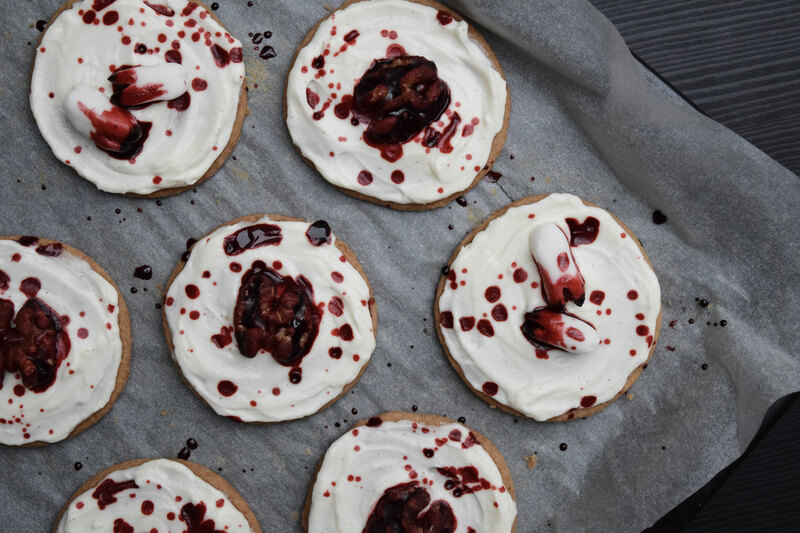 Perfect for a last minute Halloween party snack. As always, ingredients and instructions can be found on the bottom of this post. Enjoy! 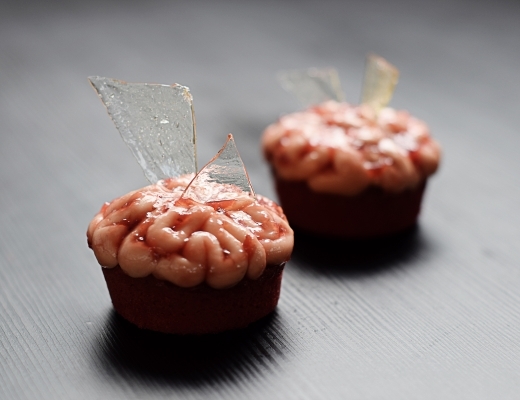 The perfect Halloween recipe for any occasion. 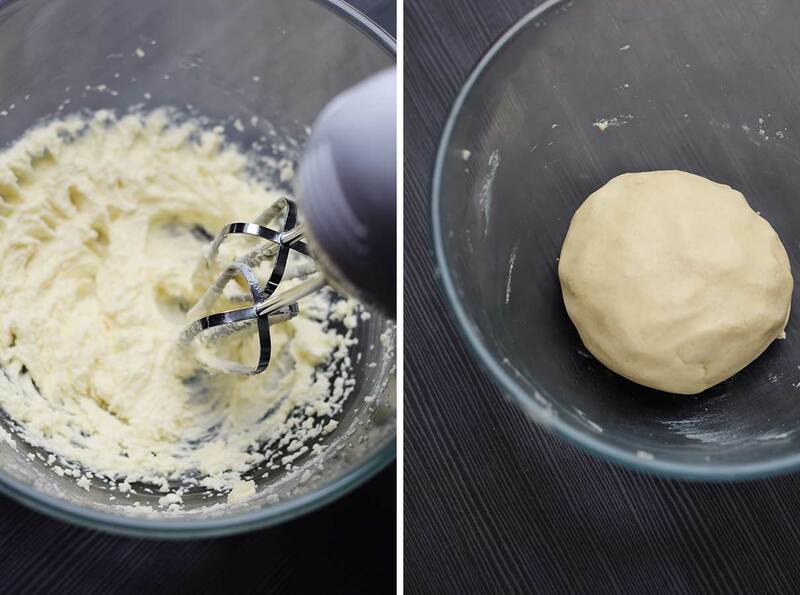 Mix all ingredients together in a bowl, form a ball and place into the fridge for 30 min. 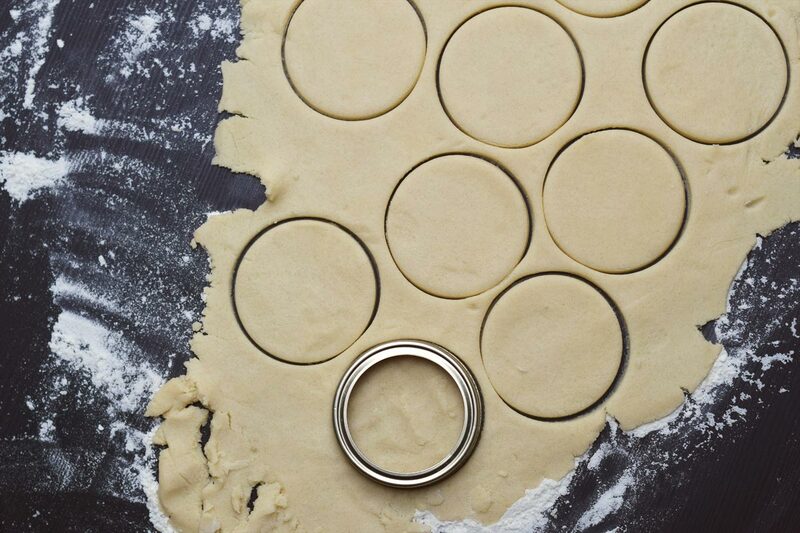 Once cooled down, cut into desired shapes and bake for 10 min on 190°C. Mix all ingredients together and cover up until needed, as the 'blood' icing will otherwise dry out. For a more shiny result, leave out the cocoa. 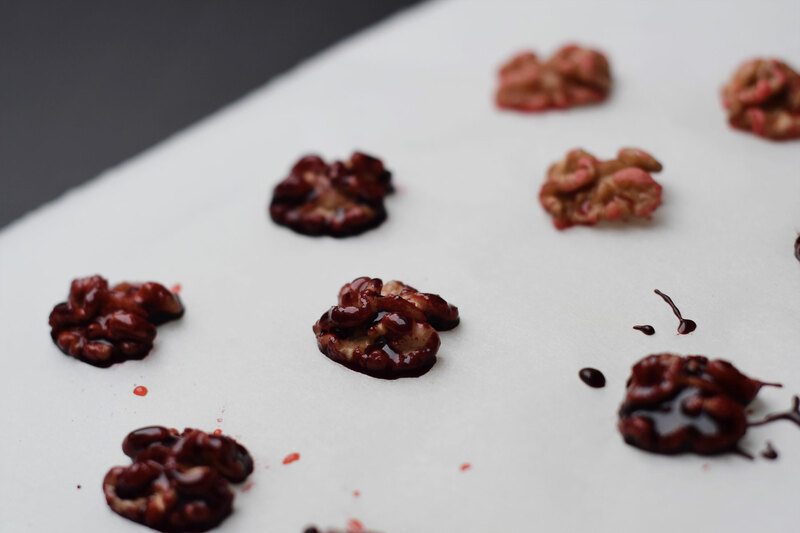 Dip the walnut halves into the fake blood until fully covered. Place on the side for a minute to let any excess drip off. Shape the white fondant into little balls. Cut into one side with a knife to split the ball and press the back of the knife into the other side of the ball to make a cross. Place in the fridge for a few minutes for the fondant to dry out. 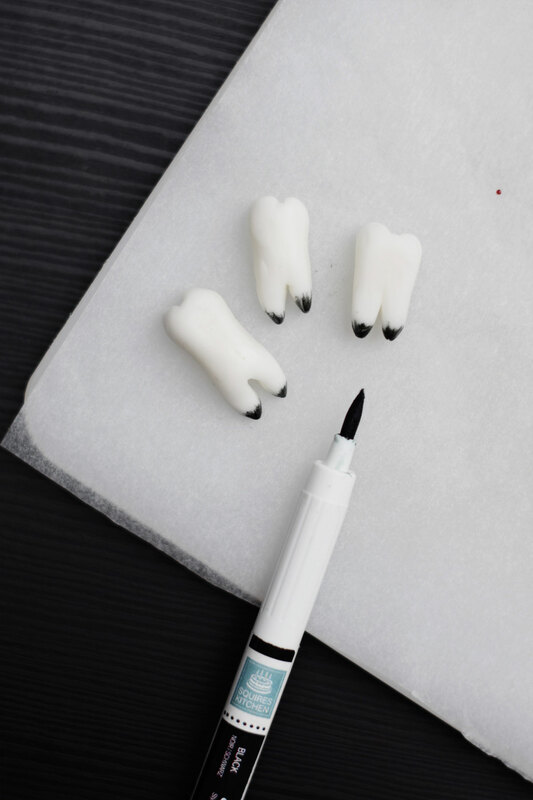 When hard, paint the roots of the teeth black and dip into fake blood icing. Pick a frosting of your choice to cover the cookies (I simply whipped up some cream cheese with a bit of icing sugar) and place brains and teeth on top. 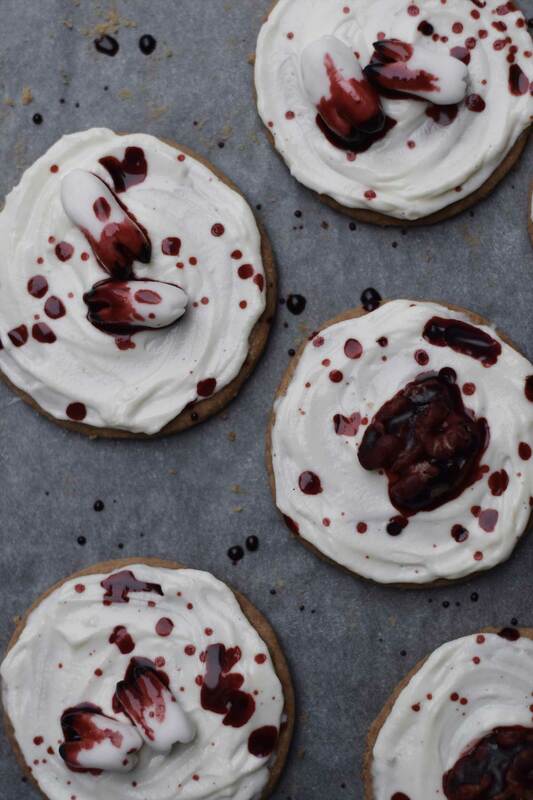 Finally sprinkle some of the leftover fake blood over the cookies to create a blood splattered effect.